Sometimes, we feel like prisoners in our own bodies. It’s almost as if we’re hijacked by a force that compels us to act in a certain way, perpetuating a bad habit or acting against our own principles. We can experience a daily escape. When we feel like our body is imposing a limitation on us—not allowing us to be free of its desires (think food, money, power, etc. )—there is a special prayer that can assist us. When a Jew recites the Shema prayer consciously, he says “G‑d is our G‑d, G‑d is one.” When we desire G‑dliness, He becomes “ours,” so to speak. When we “own” G‑d—when we tap into the fact that He is our own G‑d—it empowers our G‑dly soul to be free from the desires and compulsions of the body. This is miraculous, and similar to the Exodus the Jews experienced from Egypt. The Hebrew word for Egypt is Mitzrayim, which shares the root with the Hebrew word meitzar, or “limitation.” The “great escape” from Egypt did not just occur once to our people thousands of years ago, but continues to occur daily in our lives when we recite the Shema and get relief from our personal “Egypts.” This is the reason that our sages instituted, directly following the Shema, that we recall the Exodus—to remind us that this prayer is the key to our personal freedom. How can we not love G‑d for giving us this opportunity? 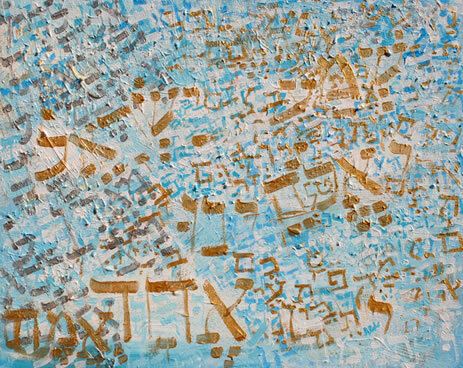 Tanya Bit: The story of the Exodus can be my daily story when I concentrate on the meaning of the Shema prayer.